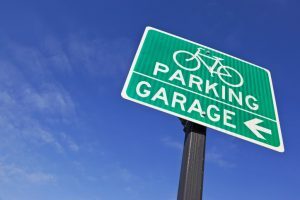 Bicycle commuters in New York City are about to get a more secure option for parking their bikes during the day; the city plans to open three staffed, valet bike parking stations next year. The secure 25-foot by 12-foot structures will be staffed from 7 a.m. to 7 p.m. every day and prices will be required to be “nominal and as low as possible.” The New York City Departmentn of Transportation is soliciting bids from vendors to manage the stations and says the program is a pilot. If it’s successful, it may be expanded to other locations.